Welcome to Prosperity Pointe Assisted Living! We are here to provide our residents with comfortable and supportive elderly care within an environment that “feels like home.” Whether you are searching for a quality assisted living community for one of your aging loved ones or are looking for elderly care to meet your own increasing needs, we hope you consider Prosperity Pointe Assisted Living. 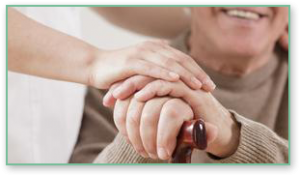 Our goal is very simple when it comes to providing quality assisted living services. We want only for each of our residents to be able to age in grace while maintaining independence, individuality, and good health. Our staff supports this goal by ensuring each resident is treated with respect and personalized care every single day. We would love the opportunity to exceed your expectations of elderly care. When is the move to an assisted living community right? A decline in personal hygiene likely due to forgetfulness or a physical limitation. A neglected living space likely due to forgetfulness or a physical limitation. Unsafe driving practices resulting in unexplained vehicle damage or frequent accidents. A decline in mobility resulting in difficulty climbing stairs, standing up from a seat, etc. A decline in medication management resulting in expired bottles, unfilled prescriptions, etc. An increase in unexplained bruises due to declining mobility, forgetfulness, etc. A decline in nutrition or weight due to a lack of available or non-expired food in the home. Depression resulting in anxiety, insomnia, lack of interest, mood swings, etc. A reduced ability to communicate due to a loss of mental acuity. The neglect of personal finances. Browse the rest of our website to learn more about Prosperity Pointe Assisted Living and our amazing team of professionals who make it all possible. If you have any questions, comments, or concerns, please don’t hesitate to get in touch with us. We can be reached by phone or online for your convenience.